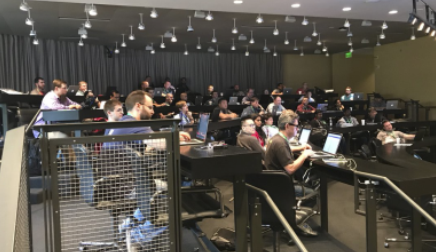 A powerful, inspiring and focused day of hands-on JFrog training and certification, equipping you to take your next DevOps leap forward. Celebrate your success with an intimate welcome reception with our co-founders and experts. Kick off the excitement with visionary keynotes and thought-provoking DevOps tracks driven by industry leaders. Enjoy the hoppin’ expo, then relax at JFrog’s famous Community Gala Dinner. 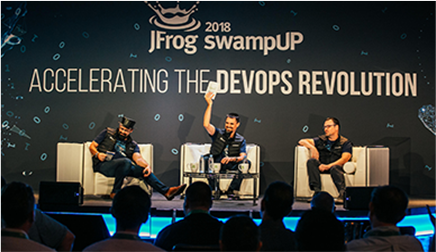 Extend your knowledge with a full day of deep-diving sessions with JFrog and DevOps industry experts that make cloud, DevSecOps, CI/CD and more both practical and accessible. Relax and appreciate your hard work at JFrog’s fifth-annual community cocktail reception. Toast your success as you’re welcomed by JFrog’s founders and leaders. 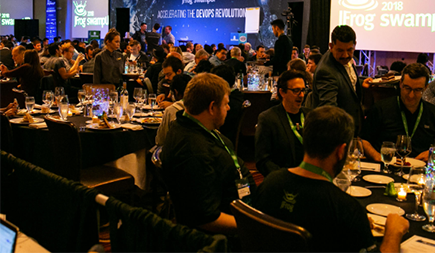 Celebrate your achievements with a can’t-miss gourmet meal hosted by JFrog. It’s an annual tradition, and it’s always a highlight. Following the fifth-annual Gala, our soon-to-be-revealed guest speaker inspires, motivates and entertains. It’s an exclusive evening with an admired figure. You won’t want to miss it! 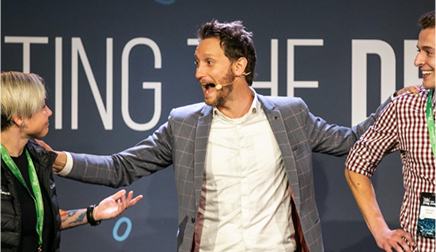 Alumni Gala speakers range from Captain Sully to Thomas Middleditch and Lior Suchard! IBM DevOps helps you stay ahead of the competition! Modernize your applications with speed and control. Apply DevOps practices and tools like IBM's automation capabilities to run projects faster and smoother. 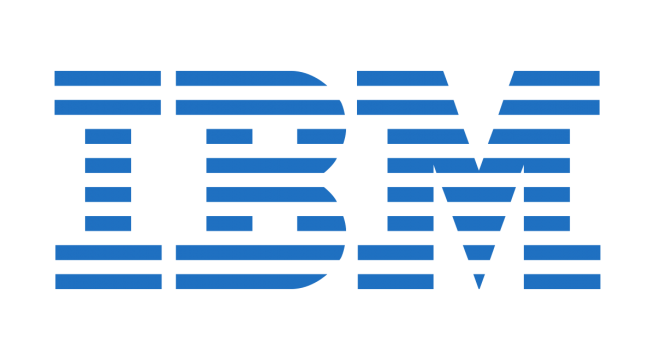 IBM is trusted by thousands of enterprises as a fast, secure journey to the cloud. 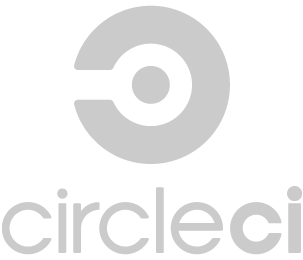 Quali, the industry-leading provider of cloud-agnostic Environment as a Service (EaaS) solutions, helps organizations create self-service environments on-demand through the CloudShell platform. 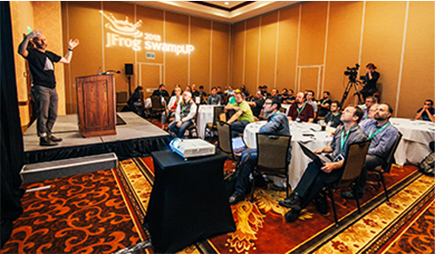 Sponsoring swampUP 2019 is the best way to engage with the JFrog community. the Hyatt Regency San Francisco for swampUP attendees. 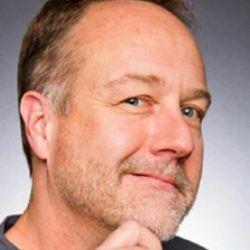 Carl Quinn has been developing software professionally for 38 years, starting with BASIC on an Apple II, slogging through C/C++ on DOS, Windows and embedded, and most recently with JVM and Go on Linux. The one thread through his career has been an inexplicable attraction to developer tools, spending time building them at Borland (C++ & Java IDEs), Sun (Java RAD), Google (Java & C++ build system), Netflix (Java build and cloud deployment automation), Riot Games (cluster automation and game development), and most recently at Zoox (developer and data platforms). Dr. Nicole Forsgren is Co-founder, CEO and Chief Scientist at DevOps Research and Assessment (DORA). She is best known for her work measuring the technology process and as the lead investigator on the largest DevOps studies to date. She has been a professor, sysadmin, and performance engineer. Nicole’s work has been published in several peer-reviewed journals. Nicole earned her PhD in Management Information Systems from the University of Arizona, and is a Research Affiliate at Clemson University and Florida International University. 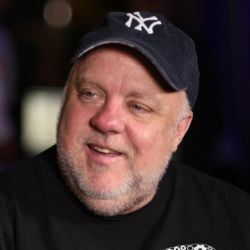 John Willis is CEO and Founder of Botchagalupe Technologies. Previously, he was Director of Ecosystem Development for Docker, which he joined after the company he cofounded (SocketPlane, focused on SDN for containers) was acquired by Docker. 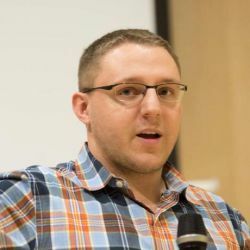 Prior to founding SocketPlane in Fall 2014, John was the Chief DevOps Evangelist at Dell, which he joined following the May 2013 acquisition of Enstratius. He has also held past executive roles at Chef and Canonical. John was one of the earliest cloud evangelists and is considered one of the foundering members of the DevOps movement. 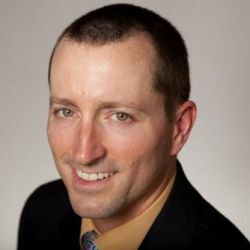 John is the author of seven IBM Redbooks and also co-author of the DevOps Handbook and Beyond the Phoenix Project, along with author Gene Kim. He is currently working on the DevSecOps Handbook to be released in 2019. Jessica is a Cloud Developer Advocate for Microsoft focusing on Azure, Containers, OSS, and DevOps. 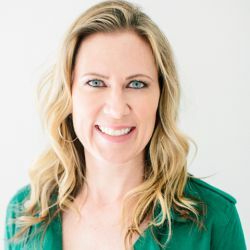 Prior to joining Microsoft, she spent over a decade as an IT Consultant / Systems Administrator for various corporate and enterprise environments, catering to end users and IT professionals in the San Francisco Bay Area. 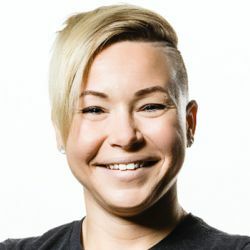 She has spoken at conferences around the world including Dev Ops Days, OSCON, Global DevOps Bootcamp, Microsoft Build, various Tech Summits, and more. She also enjoys biking (motorcycles and/or bicycles), shooting, eating, reading, and hanging with her 6-year-old rescue pup. Andrew Glover is the Director of Delivery Engineering at Netflix. He and his team are responsible for Spinnaker, the Continuous Delivery platform that is facilitating Netflix’s rapid global expansion.  Before joining Netflix, he served as the CTO of App47, where he led the development of a SaaS Mobile Application Management platform. 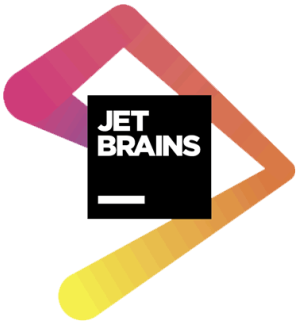 He is the founder of the 2009 Jolt award-winning easyb Behavior-Driven Development framework and is the co-author of a number of books including 2008’s Jolt award-winning Continuous Integration, Groovy in Action, and Java Testing Patterns. DevOps vs SRE: Competing standards or friends?